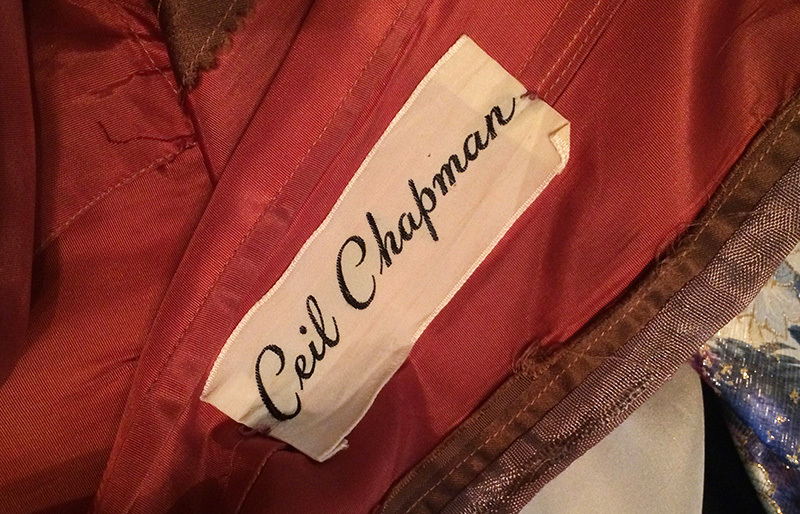 If there’s one well-known name in mid-20th century evening wear, particularly in draping, it’s Ceil Chapman. She’s often been described as an engineer or architect of fabric, conforming it to a woman’s body to highlight not only its shape but to frame the face. 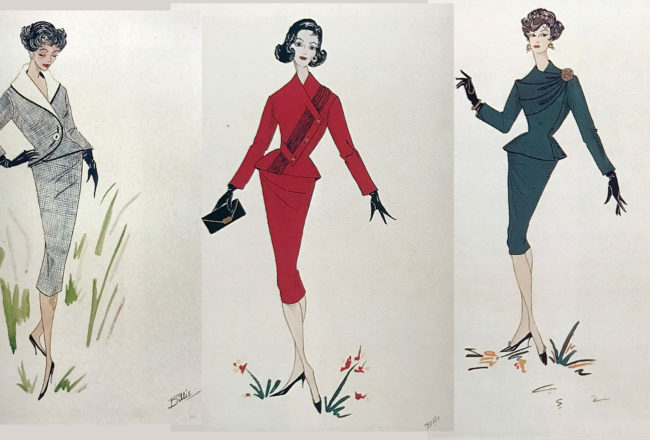 Though she was skilled at translating the “new look” for an American ready-to-wear market, she never went to Paris shows, preferring to remain uninfluenced. 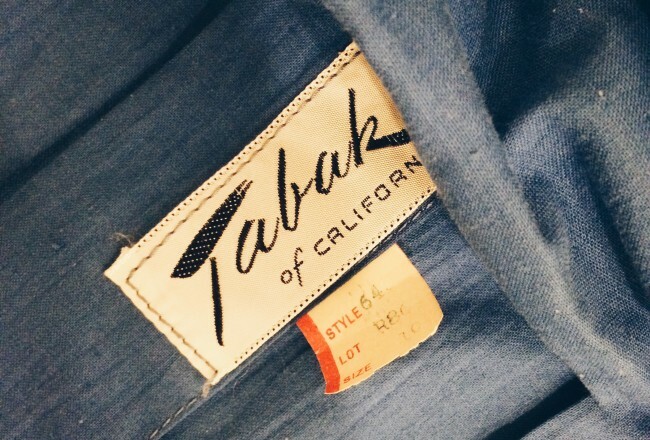 Her work is legendary and still commands significant price tags. She was born Cecilia Mitchell in New York in a year that may or may not be 1912. I would never disclose a lady’s true age if she did not want it known, but let’s just say that her parents were predicting her existence among their then eight children in 1900. She grew up in Staten Island, and by 1915, her father had died, and she was working as a salesgirl. She and her sister Anna worked at a dry goods store in 1920, and by 1925 she was an assistant buyer for the store. Sometime between 1935 and 1938 she briefly married and had a son, then in 1938 she married Samuel Chapman. Though she never completed a degree, her practical education working with retail and clothing, as well as her obvious natural ability to flatter a woman’s body, put her well on her way to a successful career. 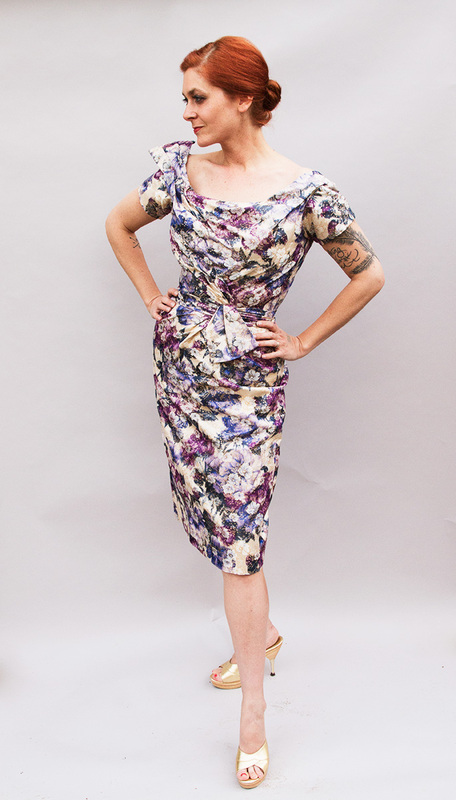 By 1940, she and Samuel had gone into the dressmaking business together, and they were doing quite well. They lived among motion picture executives. attorneys, and other fashion executives in New York’s Upper West Side. 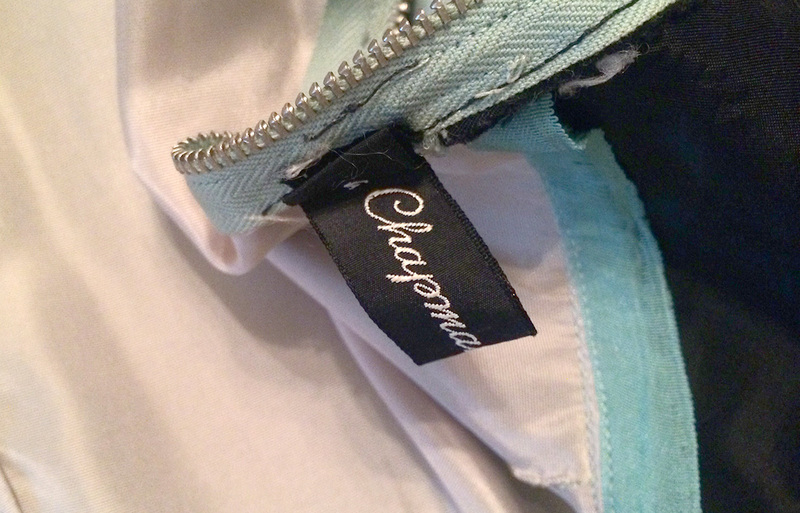 Initially, the dresses were labeled A Chapman Original’ or “Original Chapman Design”. I got this dress at Playclothes a few years ago and I adore it. 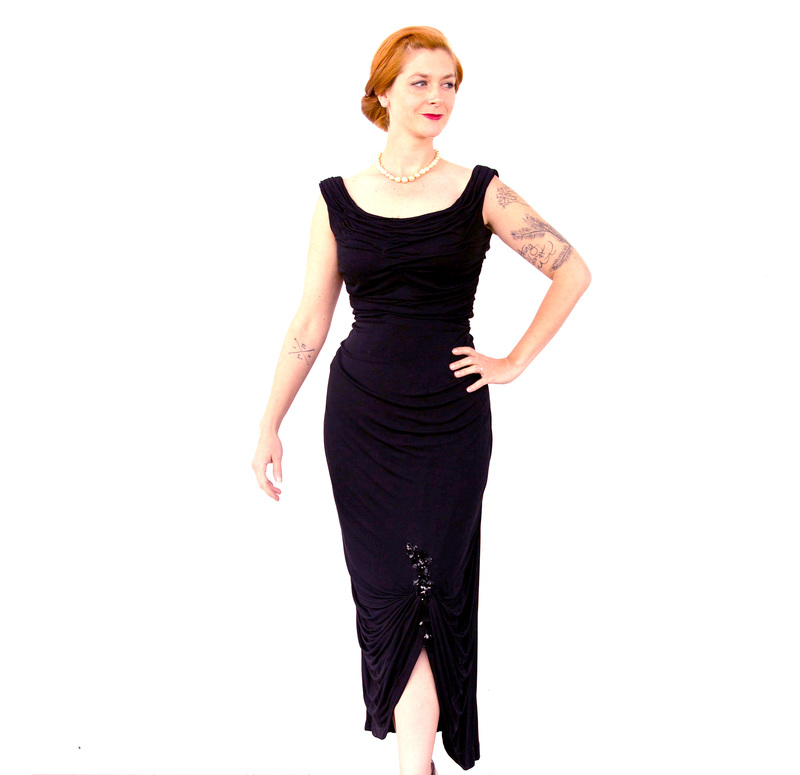 Top is light green jersey draped over a lightweight top with a black taffeta tea length skirt. I imagine that the skirt was originally full length; this is a very unusual length for the 1940s and the hem is a tiny bit rough and uneven. But that’s just hearsay. I love her ruched gowns like this. I have a black one that’s in kind of bad shape but it looks lovely. 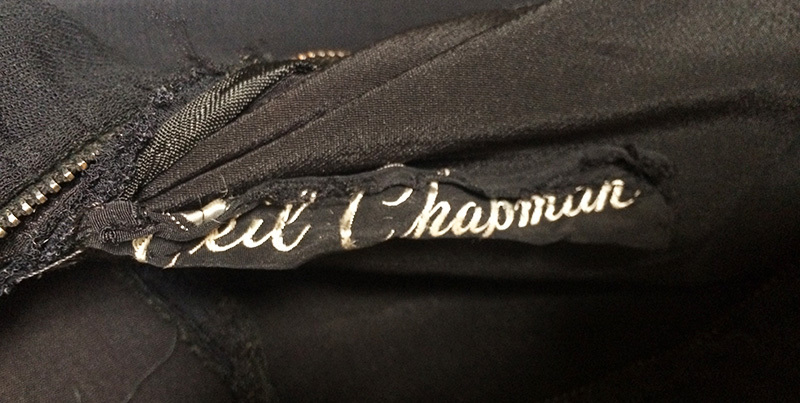 The label on this black matte jersey gown, silvery white script on a black label. In addition to these jersey gowns, she’s particularly well known for very tight fitting numbers. Perhaps the average woman does not realize that she spends more time behind a table top than walking or dancing. One of the nicest compliments I ever had came from a 10-year-old TV fan, male, who overheard his mother mention my name to a mutual friend. 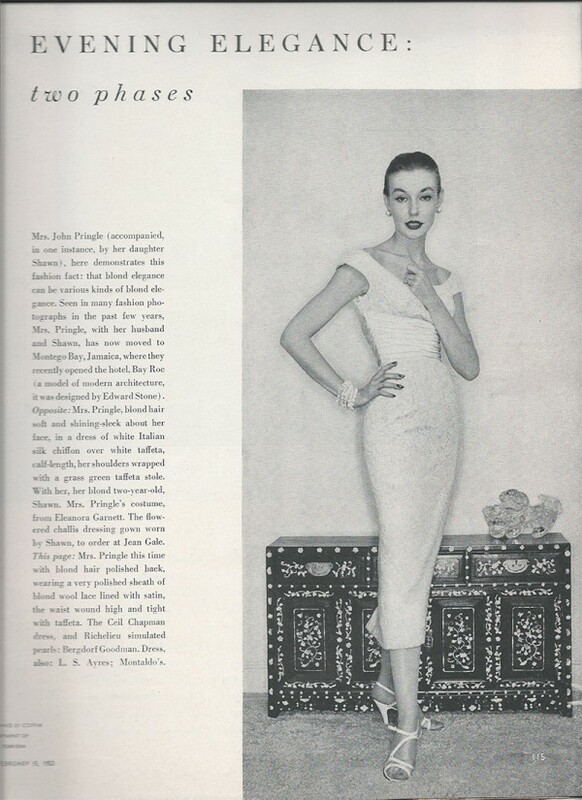 ‘Is that the lady who makes all those necklines?’ he asked. 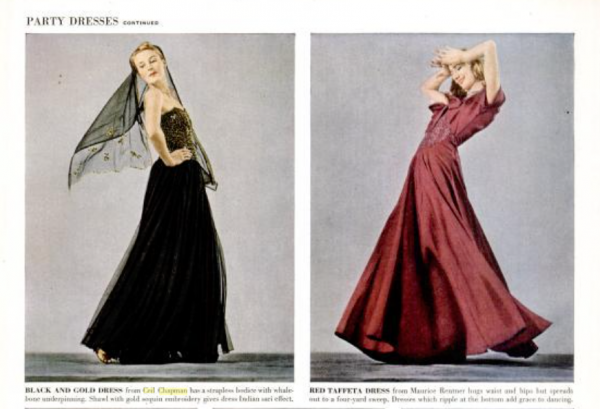 It’s my conviction that a low neckline which surrounds a pretty frame of folds, frills or color contrast will never go out of fashion, no matter what the style flashes say. It is the proper setting for feminine prettiness, has been for centuries, and will be for centuries to come, I expect. The rising neckline is for the super chic, the plunging neckline for the super-siren, but the one that is pretty is the one that can’t miss. Ceil was a woman who did a lot of her own publicity. She understood well the importance of being not only a famous designer but a household word, synonymous with glamour and good taste in fashion. She not only appeared in print advertising for Playtex, Western Union, and other related and unrelated products, but she also had a semi-regular column in the Philadelphia Inquirer, and wrote fashion advice for papers along the east coast. 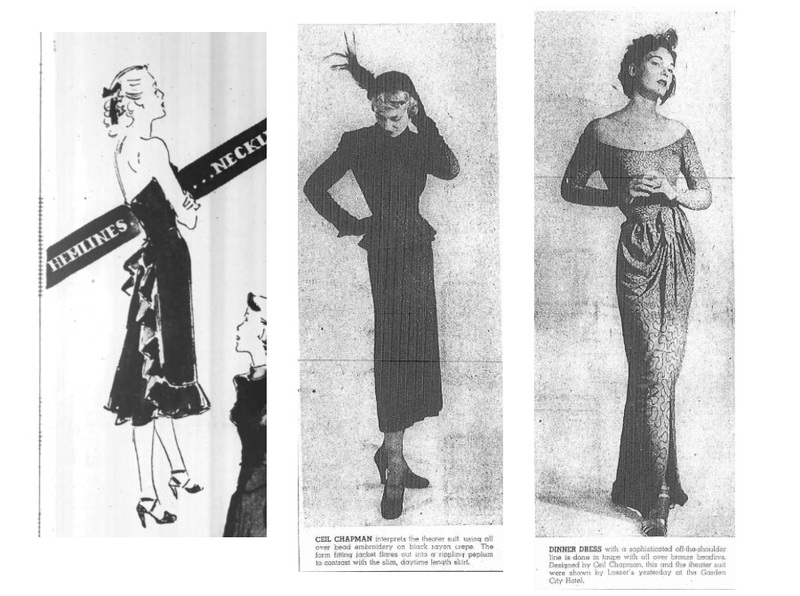 Mostly she offered fashion advice to women whose prime aim in dressing was to appear alluring to men. I don’t want to be known for making the ultimate, most breathlessly radical transformation of the female form divine; I just want it on record, year after year, that I strive to make femininity fascinating and as contemporary as today’s newspaper. 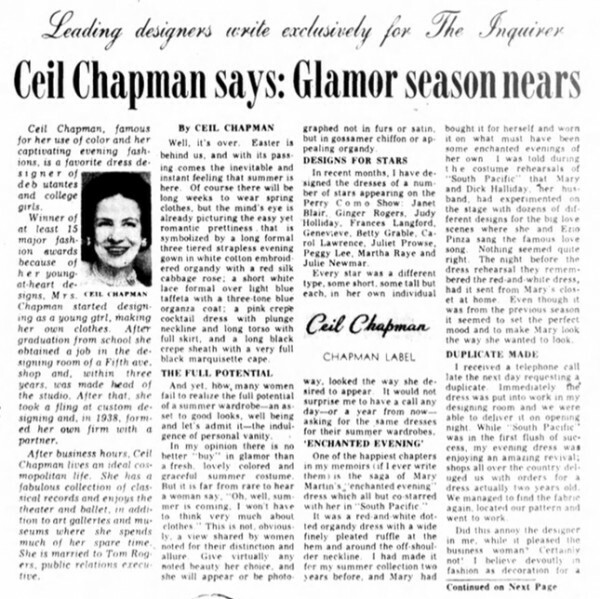 The list of awards won by Ceil Chapman is a full page long and includes the Coty American Fashion Critics’ Award and The Mademoiselle Merit Award as well as citations from such local institutions as Moore College of Art, Strawbridge & Clothier and John Wanamaker. Miss Chapman is slim and pretty, with dark, softly waved hair, blue eyes, and a fair complexion. 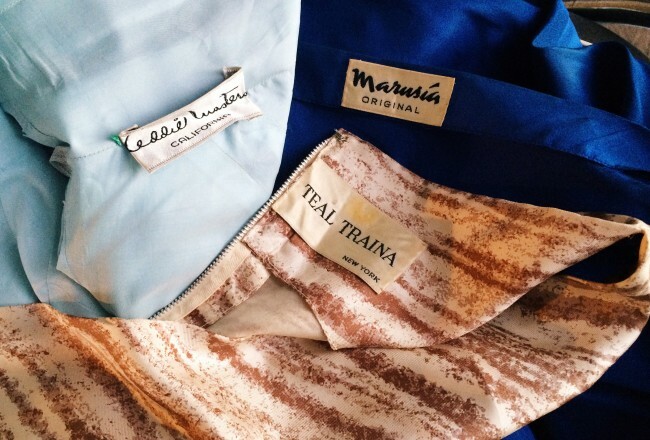 Her own favorite clothes are usually dark blue, black or gray for daytime, and white or soft blue for evening. She lives in Manhattan, and spends a considerable amount of time at the theater and attending ballet and concert performances. 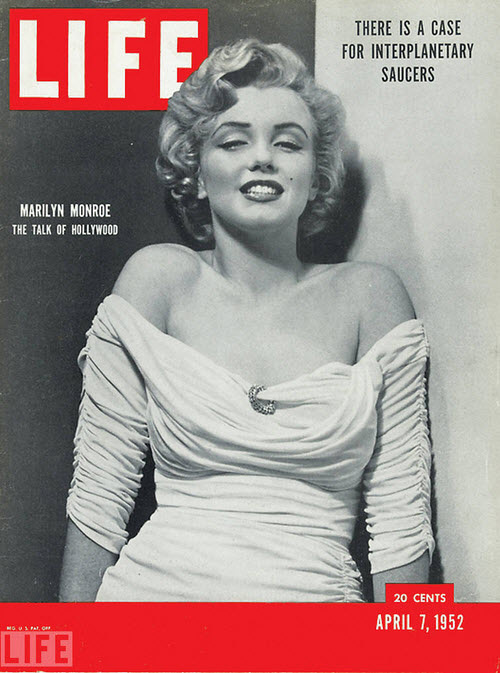 Chapman died of lung cancer in July of 1979, just a few days after her husband’s death. She was either 67 or 79 years old, depending on whether you believe her or the US Census. I’m inclined to believe her.